Like its iconic forerunner, the all-new Indian® Scout™ is an innovative and aesthetically stunning American cruiser. 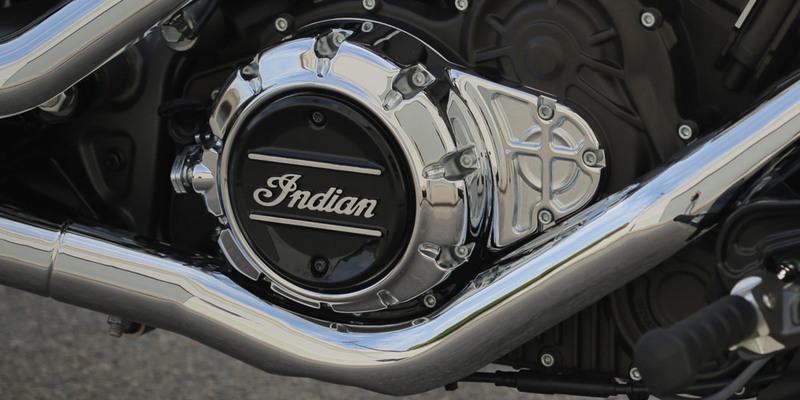 It introduces the first-ever liquid-cooled Indian Motorcycle engine – an efficient and reliable 69 cubic inch V-twin – for impressive power. The lightweight chassis enhances the manoeuvrability and fun factor for the most rewarding riding. The premium suspension keeps the ride smooth and offers rear suspension adjustability. The Scout has a confidence-inspiring lean angle that both new and experienced riders will appreciate. This, combined with the bike's low center of gravity, provides exceptional high and low speed maneuverability. A low center of gravity and a low seat height of 25.3” mean impressive low-speed handling and maneuverability. Combine the current Scout design with Authentic Indian Motorcycle® accessories, and this bike can accommodate just about any rider, from 5'0'' – 6'4''.